In today’s internet-driven environment, there is nothing more important than social proof. Before you buy anything, you would be foolish not to check what other people think of the service you are about to buy. Would you book a holiday without looking at TripAdvisor first? So you already know how important it is to obtain customer feedback to share with prospective customers…but once you’ve got it, do you really make the most of it? You’ve worked hard to obtain your testimonials – so it’s vital that you maximize their value. We believe it’s incredibly powerful to give your prospects and potential customers a real-time view of what your existing customers are thinking. If you haven’t already got a page on your website that’s specifically dedicated to testimonials and feedback, then this is the first place to start. Get in touch with your web team – create a new page purely for feedback and get it ready for lots of publishing! Why not call it Happy Customers, just like our one (why not give it a look). Publishing a real-time feed of your ratings and comments may seem like a dangerous thing. However, we believe it’s all about being transparent – it’s important to show that sometimes things do go wrong. Prospective customers can and will overlook occasional negative reviews, provided that they see evidence that most of the time, you get things right and your customers are happy. If they see that you’re not afraid to admit to occasionally having an unhappy customer, it increases people’s confidence that the reviews are completely genuine and show a balanced picture of how your customers feel. Why not take a look at our Ministry of Magic’s live ratings page to see how we do it? Of course, there will be some feedback which you do not want exposed for very good reasons – comments which contain profanities, are genuinely unjust, or which contain personal details. In those situations it’s important to have the ability to moderate the comments before they actually go live. Enhance your page by adding key testimonials. Pull them from your feed and publish them around the page, perhaps bringing in a company logo or image of the person who gave the feedback (with their permission of course!). Perhaps even do what we do… if we spot a great testimonial, we call them up and ask for an interview! The worst that they can say is ‘no’…but if they say ‘yes’ then you’ll have an incredibly powerful asset to share with your prospects and potential customers. 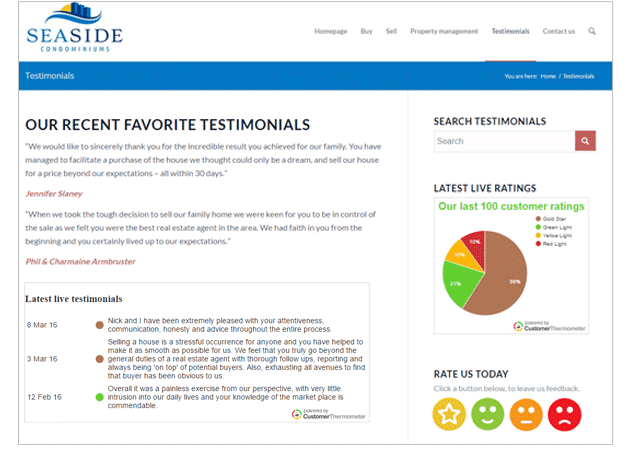 Your real time testimonials page is one of the most important assets any business can have. Make it part of your morning or weekly routine to moderate and publish comments. Keep it live – keep it current. If a visitor sees the most recent testimonial from a year ago – that’s actually worse than not having a testimonials page at all. 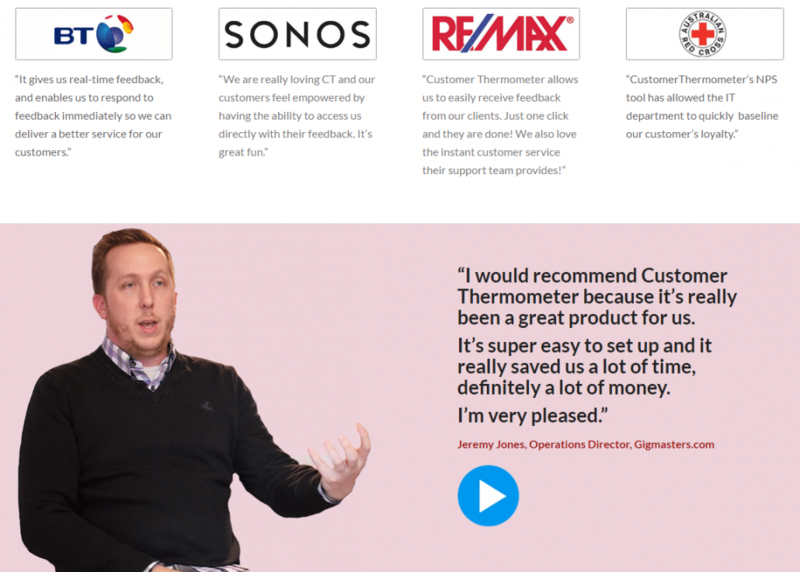 If you’re looking for lots of feedback, both quantitative and qualitative, I guess it’s no surprise that we recommend using Customer Thermometer! Many businesses struggle to obtain testimonials and case studies. Traditionally, it’s quite hard work. Customer Thermometer changes that. With our 1-click, light-touch surveys, recipients are MUCH more likely to respond. If you choose to prompt for a comment too, they are also MUCH more likely to write a few words…because they’ve already emotionally committed to leaving feedback. Find out more about how our service works (and why our customers love it!) here. 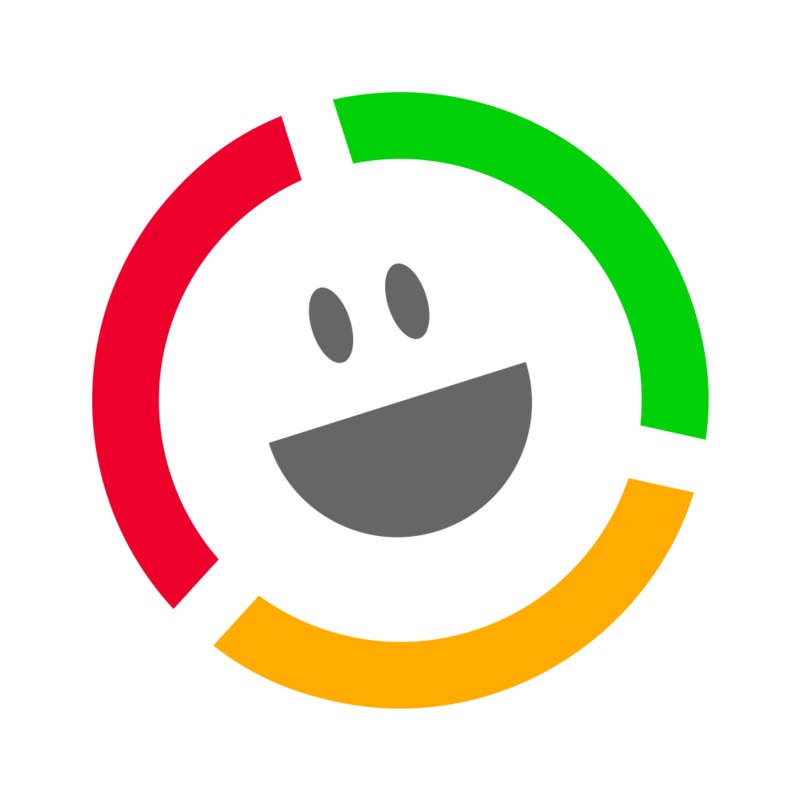 Displaying real-time, live feedback is a nice idea…but how do you do it?! We take away that pain and offer you a simple solution. We provide you with ‘widgets’ that can be embedded on your own webpages, to pull through your Customer Thermometer ratings and comments in real-time. Visit our widgets user guide for more information about the widgets we offer, and how easy they are to implement. For those occasions when there’s a genuine reason to prevent a comment going live, we offer comment moderation. We firmly believe that it is damaging to ‘cleanse’ your comments routinely, and only display the positive ones – but it’s vital to be able to suppress comments in some instances, such as when they contain personal details, or even profanities. We give you the tools to do this. You can even embed our ratings buttons on your testimonials page, to allow customers to leave you impromptu feedback. This not only gives you the opportunity to gain more testimonials, it also shows prospective customers that you truly welcome all feedback – the power of this cannot be underestimated. Take a look at one of our real estate customer’s testimonials page, here. In the meantime, we hope you found this article useful. As ever, drop us a line if you need any help. Time to improve or build your testimonials page?